Aside from tennis, I've played many field sports, which come to think of it, really has not much to do with this topic. Mosquitoes, gnats and some other flying irritants which have little else to do in their short-lived lives, but to simply irritate us humans (and other animals), can make life or your time out-of-doors less than enjoyable. You may be walking your dog, walking to your car after work or simply enjoying a beautiful day beyond the environmentally enhanced confines of your home. They, these perpetrators of misdemeanors, almost felonious acts, don't always show up, but we've all been there. If you are out hustling on the court, throwing these little devils off by not presenting an easily accessible landing strip for which upon they will either annoy you or draw blood from your body, then they usually go without notice and find tamer, more docile victims better suited for their assault - those less mobile at the time: friends, family, off-court teammates, any spectator. Supposedly, mosquitoes are quite fond of me because of my blood type, but I truly (perhaps mentally and emotionally) don't have much issue with mosquitoes. I have this somewhat odd respect (not adoration) for these tiny, yet noticeable little winged creatures. They come in with intent (respectable) and I, suddenly aware of their (the females) cause and intent, usually become the judge, jury, prosecutor and executor and end this venture quite suddenly. Do I want to be carpet-bombed by mosquitoes? No, but that rarely happens, at least to me. On the other hand, the one flying insect that has a name best suited for it is the gnat. Okay, so which came first, the irritating persona of these pesky miniature hellions or the name? Silly question, but I believe most people would call them gnats during their first encounter even if they were totally ignorant of their label - it fits so well, gnat. 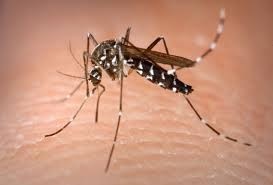 I know mosquitoes can and do swarm (Ask a reindeer next time you run into one. ), something I have rarely experienced, but I also rarely encounter gnats in some wandering group of just two or three - there most always seems to be more than enough of these critters. And, I wish they could fly about without that slight droning sound they make which is usually only audible as they are dive bombing one's ear. They need a silencer - land, do your deplorable deed and take off. That buzzing sound is more irritating than anything else they could be doing in there. If you happen to be one of those who takes being ecologically correct too far and feel guilty swatting or crushing (which seems to be most people's reflex action) any of these creatures, just remember they aren't the predominant food source on any other predator's menu and the earth will continue to spin. Chances are it is (was) halfway or near the end of its week-or-so long life and there will be plenty more from where they came.